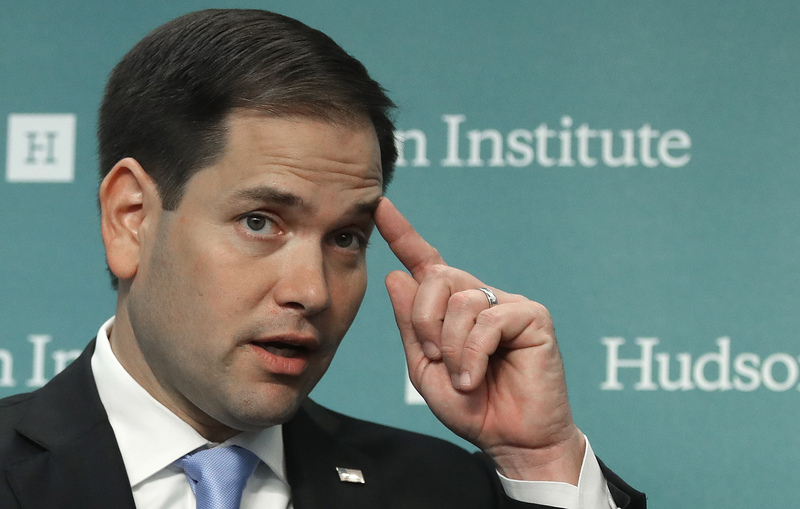 During his ill-fated presidential run, Florida Sen. Marco Rubio said many times that he wouldn’t seek reelection as a senator when his term ends later this year. It was a textbook case of why you shouldn’t put all of your chips in one basket, and in a wholly unsurprising development, the Florida senator is now reconsidering his decision. Well, is Rubio running for reelection to the Senate, or isn’t he? Nothing is for certain yet, but in all likelihood, yes, he is. Rubio pledged over a year ago not to run for reelection, but he's been steadily backtracking ever since Donald Trump clinched the Republican presidential nomination in early May. On May 12, Rubio made a comment to Talking Points Memo reporter Lauren Fox that suggested he was rethinking the decision. About a month later, one of the Republicans running for Rubio’s seat gave Rubio his blessing to seek reelection. None of this is definitive. But it’s pretty hard to see Jolly’s actions and words as anything other than a strong, strong indication that Rubio is going to run for reelection. The fact that Jolly not only ended his own campaign for the Senate, but also cited Rubio’s potential candidacy as the reason, makes it hard to conclude anything else. Whether Rubio would actually win a reelection bid is another question, however, and could depend largely on who emerges as his Democratic opponent. The Tampa Bay Times surveyed 150 Florida politicos, and 96 percent of them said that Rubio would be favored to win... if, that is, the state’s Democrats nominate Rep. Alan Grayson to run against him. But only 55 percent of the same respondents were bullish on Rubio’s odds of defeating Rep. Patrick Murphy, the other main contender for the Democratic nomination. Regardless, the fact that we’re even talking about Rubio running again shows just how much has changed in the last year. Back in April 2015, Rubio was the Republican Party’s golden boy, a “once-in-a-generation political talent” who could single-handedly bring the GOP into the 21st century. Oh, and he reportedly hated being in the Senate. A year later, it’s become clear that Rubio’s political talent is debatable at best, and that Donald Trump will be the one who ushers the GOP into the new millennium. From Rubio’s standpoint, retreating back to his perch as Florida’s junior senator isn’t just a good bet. It may realistically be his only bet.